But my love for the industry has never wavered. I follow IGN and Kotaku religiously, reading up on all the latest news, watching trailers, reading interviews. Hell, I’ve been listening to the GoNintendo Podcast every week for over a decade, and I’ve even become friends with the crew. The truth is, I love video games. But finding the time really can be a challenge at times, because I want to do so many things. So I’ve become selective about the games I play. They have to special, unique, and surprising. 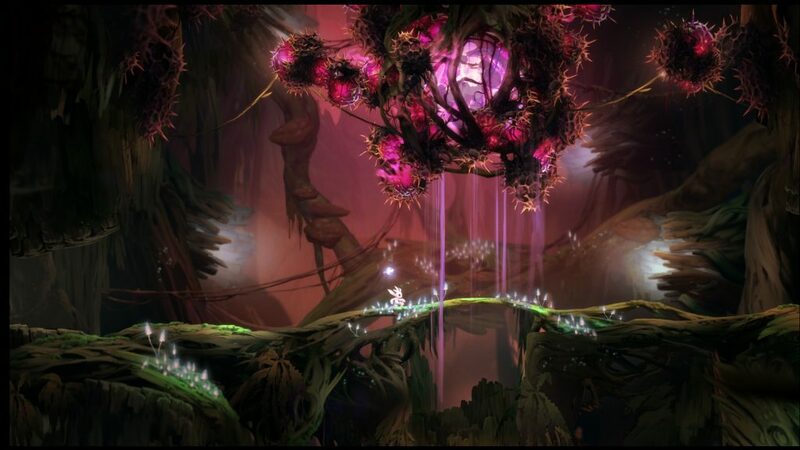 Much to my delight, Ori and the Blind Forest is all of these things, and more. 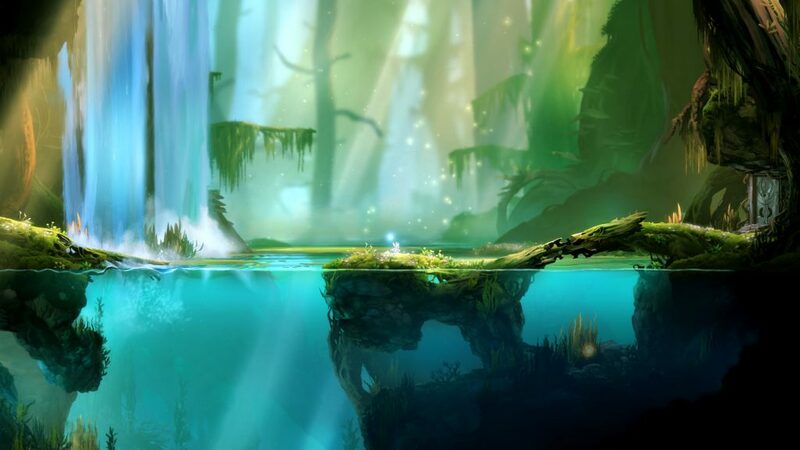 If you took a Mario game, a Metroid game, dumped a bucket of Studio Ghibli paint into the mix, then sprinkled Pixar feelings on top of it all, the final concoction would be Ori and the Blind Forest. I know, it sounds amazing. And it really, truly is. 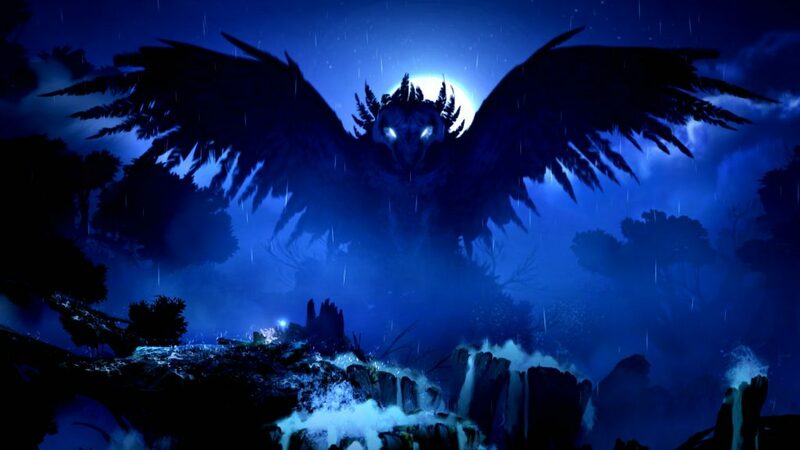 For the uninformed, Ori and the Blind Forest is a platform-adventure game first released in 2015, featuring the story and adventures of Ori, a young guardian spirit who lives in the forest of Nibel, and who suffers a devastating loss prior to the events of the game. His journey narrated by the great Spirit Tree, Ori finds himself burdened with the task of restoring light and balance to the forest with the help of a mysterious spirit names Sein. This is a gross oversimplification of a rich, complex, and powerful story that unfolds in a beautifully organic fashion via a mix of in-game narration and stunning cutscenes. The end result is nothing short of breathtaking, and it’s a type of narration that is wholly unique to the video game format. Here I must commend Moon Studios for doing such an incredible job – especially director/writer Thomas Mahler – for bringing this melancholy vision to life with such deft hand. But a game’s story is nothing if the gameplay is broken or boring. 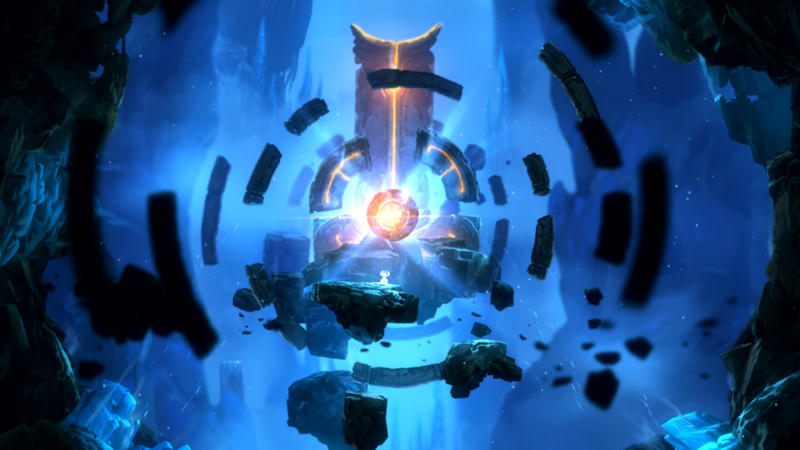 Thankfully, Ori is neither broken, nor boring. At its core, the game is an exceptional platformer. 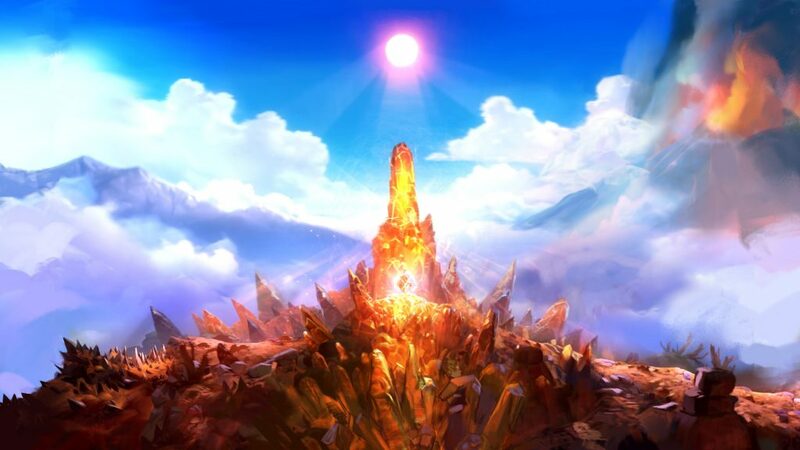 Separated into ten different sections (in the 2016 Definitive Edition, which has more levels, deeper backstory, and additional features not found in the original version of the game), you traverse the game’s interconnected world as Ori and Sein as they work together to fight evil creatures and restore the elements of Waters, Winds, and Warmth to the forest of Nibel. The levels are multi-tiered with hidden passageways and secret power-ups, all gorgeously rendered with an absolutely striking art style. It’s easy to shower this game with praise, but the mechanics and level-design really do rival the best of what Nintendo has to offer with the Mario and Metroid franchises. The controls are tight, and the game encourages backtracking and further exploration as you level-up and gain new abilities. Some gamers might find this tedious, but the game moves at a good enough pace that you never really feel like you’re just fetching items or retreading familiar ground. From a technical standpoint, the animation for Ori and Sein (and all of the different creatures) is buttery smooth, running at a delicious 60 frames per second at 1080p. I only noticed a few frame rate issues on my Xbox One, but overall it was a seamless gaming experience as I traversed the world and transitioned into new sections and encountered new enemies. The game also forces you to think outside of the box in terms of level-design. Each world/section on the map features new challenges and obstacles that require the abilities I mentioned above – from wall-jumping, to gliding, to ground-pounding. You unlock these new abilities at certain points in the game, but you can them power those abilities up by gaining experience points from defeating enemies and collecting energy orbs. Doing so makes it easier to explore the world, but I still found that some of the levels escaped my puzzle-solving abilities. After several tries, I had to resort to a guide on two occasions so I could progress, but the solutions were painfully obvious once I realized what they were. 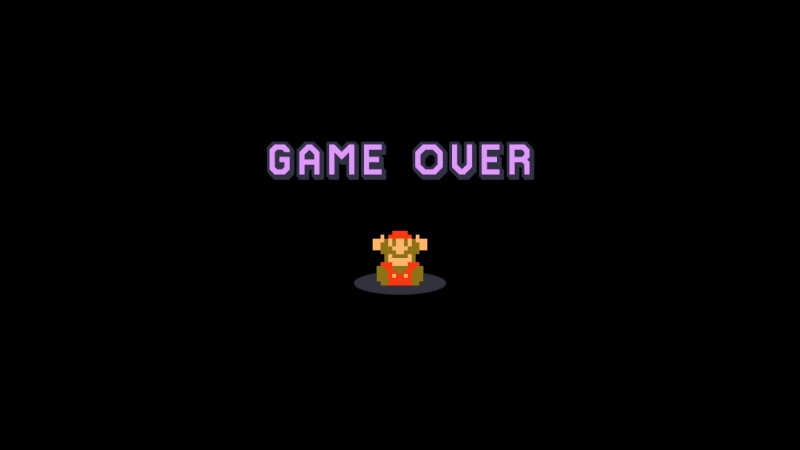 I could have figured them out if I’d had a little more patience – which can be said of most games like this. The difficulty also spikes toward the latter half of the game, to the point where I lowered it from “normal” to “easy.” Doing so reduced the damage I took, and it built in more checkpoints during sections where I couldn’t save the game. Serious gamers might scoff at me, but I play games as a way to relax and unplug, not to increase my stress and anxiety (I’m looking at you, Dark Souls). The game’s “save anywhere system” (which you can use regardless of difficulty level) is also super handy and makes to game easy to pick up and play whenever you feel like it. Story, art, and gameplay aside, I think the strongest thing this game has going for it is the soundtrack. Gareth Coker’s score for this game is pure atmospheric brilliance, and his themes shine as bright as anything Koji Kondo or Joe Hisaishi could produce. I’m not being hyperbolic when I say the soundtrack has been in regular rotation since I started playing this game, and it’s cementing itself as one of my favorite video game scores. Even if you don’t purchase or play this game, do yourself a solid and download the soundtrack. It’s available on Spotify and Apple Music, so there’s really no reason not to. Wrapping up, I beat the game in 8 hours with an 86% completion rate. That’s about as long as it takes to watch the first season of Stranger Things, to put things in perspective, so you really can’t use the “I don’t have enough time” excuse to not play this game. It’s not a 200+ hour game like Skyrim. It’s a game that you could easily beat in 2-3 sessions, but you won’t want it to end once it does. 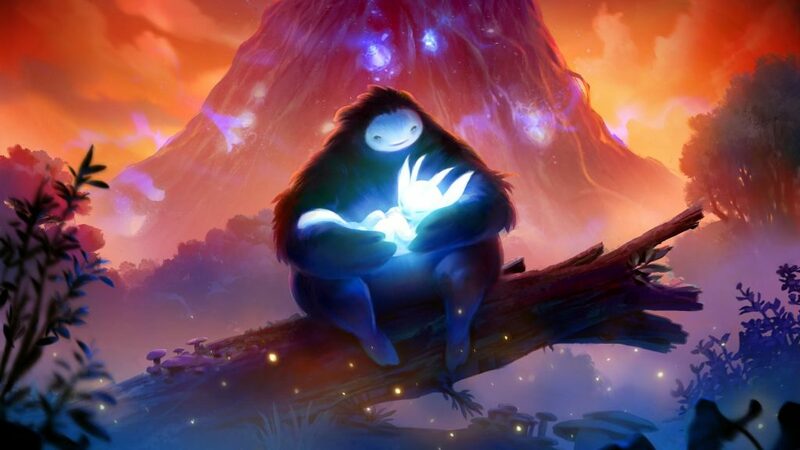 I’ve not been as deeply or profoundly moved by a video game as I was while playing Ori and the Blind Forest. I cannot recommend this game highly enough.